This week, popular online forum Reddit announced their expansion of ad options available to brands, launching cost-per-click ads. Cost-per-click is Reddit’s first performance-driven ad type that’s being offered to marketers and advertisers; previously only cost-per-impression (CPM) and cost-per-view (CPV) were available. The CPC ad type also comes with four new campaign objectives: reach, video views, traffic, and conversions. 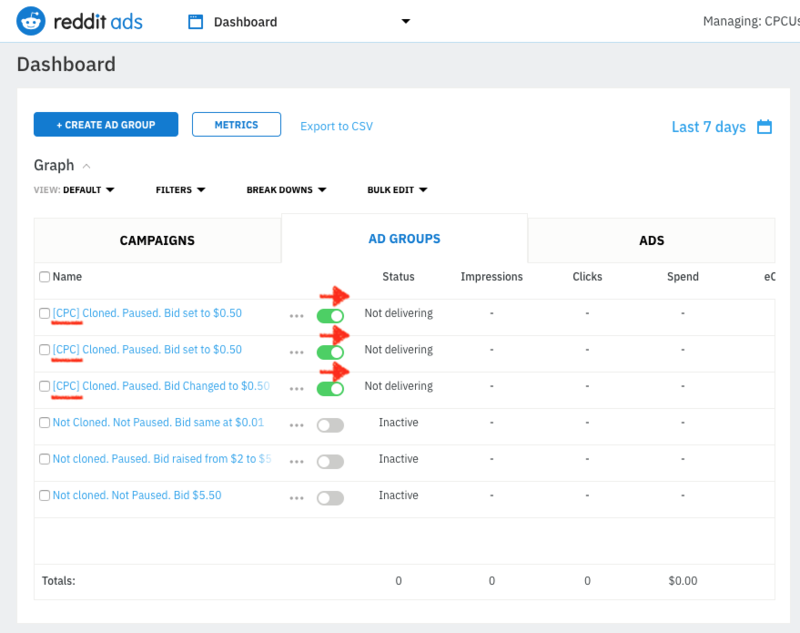 Now, marketers and advertisers can have more confidence in their ad spend on Reddit, as they’ll only be required to pay if a user clicks their ad. The new campaign objectives also helps brands tie their ad spend directly to key business initiatives. Over the past year, Reddit has made several strides to modernize their platform. For example, they recently underwent their first website redesign in over a decade (the digital marketer in me is screaming), and have since launched multiple ad products and features, with the latest being CPC. Reddit also stated that CPC isn’t going to be the last new ad product we’ll be seeing from them. The company also announced plans to roll out several additional offerings that include enhancements to ad targeting, reporting, and campaign management tools. Should I Advertise on Reddit? In the past, brands have been hesitant to advertise on the platform due to “brand-safety concerns,” ranging from having ads appear on controversial subreddits to facing backlash from Reddit users who are known for being anti-advertisement in an effort to protect the integrity of the platform. In fact, Reddit advertising has been deemed so “scary” among marketers that several articles have been written just on how to merely survive the process against commenters. As scary as the largely community-run platform can be to enter, Reddit plays such a prominent role in online activity that it’s getting hard for advertisers to ignore. According to their website, Reddit has over 330 million monthly active users. This user base places them within the top social networks in terms of average use and engagement, more than Twitter, Linkedin, Snapchat, or Pinterest. With the Reddit rolling out new ad opportunities right and left, it’s clear they’re trying to monetize this user base, and marketers should take notice of these developments. Marketers that are curious on ad performance on Reddit can view several case studies on their website that show how the platform effectively reaches their audiences. Reddit has even beta tested their CPC ad type to select brands before launching worldwide, and found that most advertisers in the beta test improved their return on ad spend by 50%! Want to Get Started with Reddit Advertising? If your company wants to take advantage of Reddit's new ad developments, they offer a library of resources in their Advertisement Help Center. You can find information on ad types, targeting abilities, pricing, and other frequently asked questions. For information on the cost-per-click ads specifically, here’s a full guide on how to step up CPC ads. I expect that Reddit’s strides over the course of 2019 will have a big payoff - for both them and their advertisers. I highly encourage marketers to stay on top of all developments!